All Aboard for Great Fun! 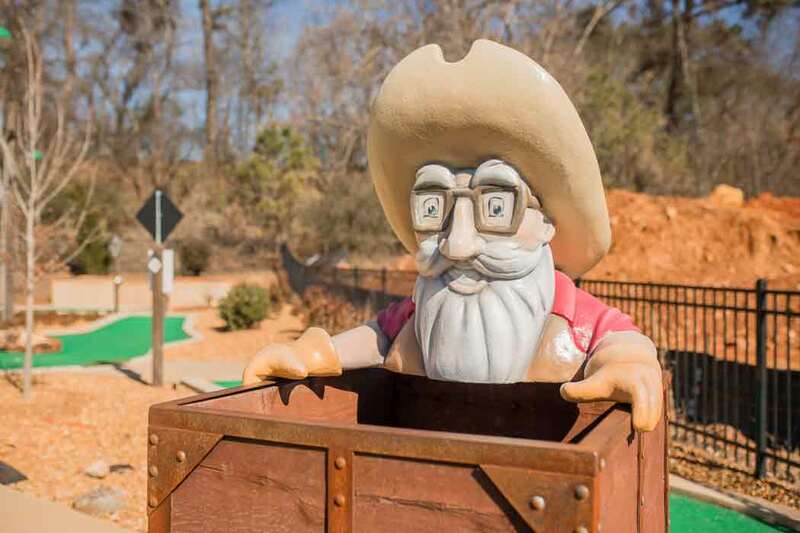 Are you ready for a great putt-putt adventure story? LakePoint Station offers two different courses that all have a story to tell! 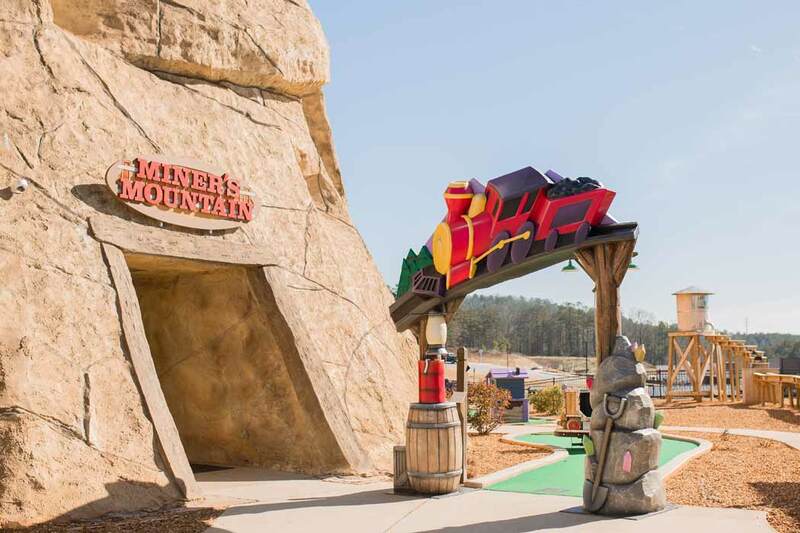 Ride the rails to a hole in one on the Railroad Course, or dig alongside Miner Jim on our Miner Course or glow in the dark with your friends as you compete in the black-lit cave of Miners Mountain. As you play, enrich young and old minds alike with historical nuggets about Emerson’s deep roots in mining and railroads. For instance, we are located just two miles away from Allatoona Pass Battlefield – a Civil War battle in which the Union prevailed over the confederates and secured the Allatoona Railway. Not to mention the hair-raising Great Locomotive Chase that passed through Emerson during the Civil War. 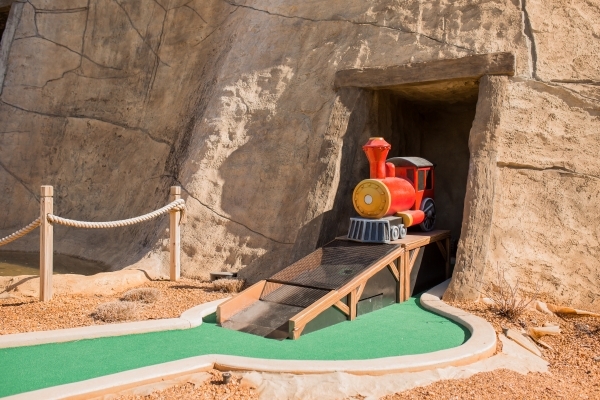 So come aboard and ride the train to challenging courses, go deep into the black-lit mines or hang out with Minor Jim in his rail car. On warm days, cool off by the spray of cascading waterfalls on Miners Mountain or simply enjoy the beautiful landscaping. On hot, rainy or cold days, your family and friends will always be comfortable inside Miner’s Mountain. Recently, our crew enhanced both courses with new characters, trains, and mining cars design to make the course both fun and challenging! 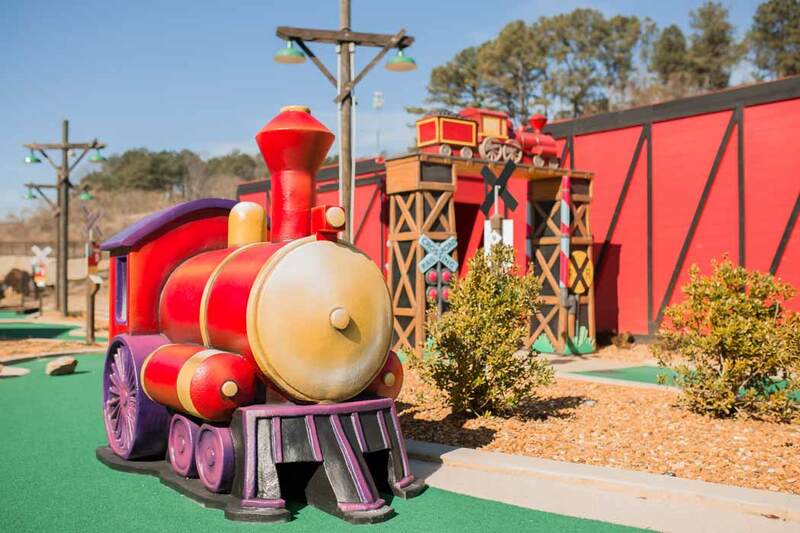 Designed for maximum enjoyment for adults and kids alike, our mini golf courses are ideally suited for family gatherings, birthday parties and group get-togethers. Check out our amazing party and event packages! !